One of the really hard workers in animation ... and really good guys ... passed away early this morning. Gordon Kent with his sister Victoria Kent Young. I’ve been doing this [animation] since 1977… I worked on a show called CBS Storybreak for two seasons. I was associate producer – but my job entailed hiring character and background designers, storyboard artists and story editing (and some writing). I also was the voice director for most of them and worked with the composers and sound effects people as well as working with the engineers on the final mix. I got to learn and do a lot. That was for Buzz Potamkin at Southern Star. 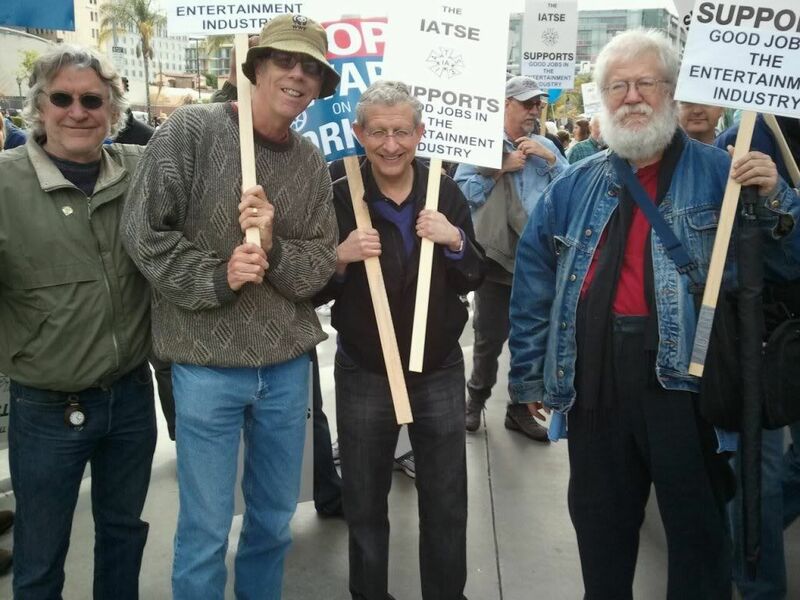 Director Terry Lennon, Steve Hulett, Gordon Kent, and Jeff Massie at a labor march in Downtown L.A.
You will be missed, Gordon. For you touched the lives of many. A memorial service celebrating Mr. Kent's life will be held in the future. In lieu of flowers, please send a donation to City of Hope in his name. Add On: Mark Evanier has written a terrific remembrance of Gordon right here. There are so many ways to react to this lousy news, and none of them will suffice. 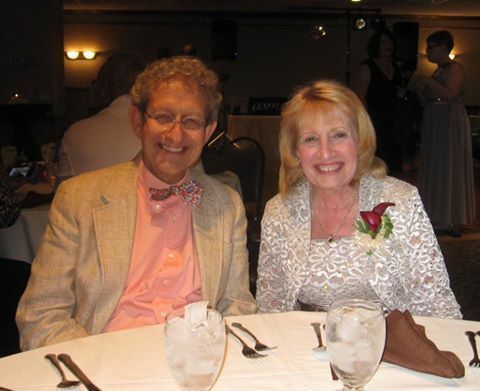 If you knew Gordon, you might have known him on any one of several levels and categories, all of them a pleasure. In fact, I don't know what else could be said that those who knew him don't already know. For those who didn't know him, they missed out on a good thing. Thanks, Gordon. I had just enough interaction with Gordon over the years to know I wished very much I'd known him better. Witty, charming, erudite and just a lot of fun to be around. To hell with cancer! I spent time yesterday crying in my office. Gordon was a good friend. He was passionate and erudite about everything on which he focused his mind, and he focused it on a lot of different things. He loved his friends. He loved Donna his wife. He loved arguing politics and discussing the animation industry and talking about the foibles of human existence. And he fought tenaciously to beat the cancer that gripped him. In the end, he didn't prevail, but God did he give it the college try. One other thing: he was never grim and downcast about his illness, a least not to me. He suffered a lot but he bore his suffering lightly. Of that, I was in flat-out awe. I'm a little out of the loop these days so I learned from the title card at the end of Sunday's "Bob's Burgers". A classy act for a classy guy. Miss you, Gordon. More Participants in Animation Biz?